Dads, be forewarned! Wish your wives a happy Mother's Day, or else you may end up on the auction block. 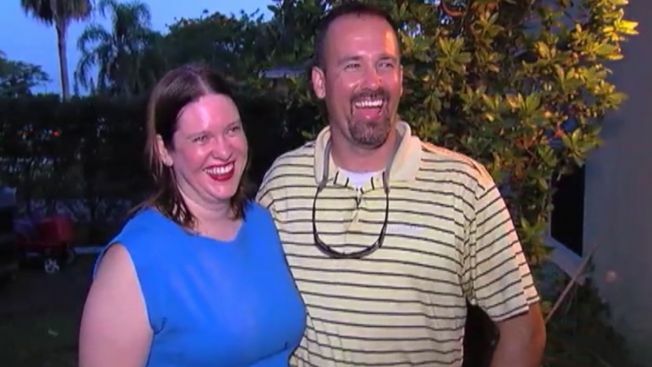 As NBC affiliate WPTV reports, Jupiter mom Katie Bouyea's husband normally gets everything pretty much right. However, this Mother's Day, he did the unthinkable. In response, Katie did what any frustrated wife and mom would do: she put husband, Chris, up for sale on Facebook. In the post in Facebook group Mommies of Palm Beach - Shop, sell and save, Katie warned interested buyers that ‘8 years of marriage mileage has him somewhat broken in’. The post, which was all in good fun, quickly went viral with hundreds of likes, comments and shares within a few hours. The highest bid they've received so far for Chris is $20, which he says is far too low for his skill set. Luckily for Chris, Katie was happy to keep him around once he righted his wrongs. Hugging his wife, Chris told Katie what he should have told her on Mother's Day. “I'm sorry and happy Mother's Day. You're a wonderful wife and you really help me take care of me and the kids,” he says.